Nigel Farage creates his own party! 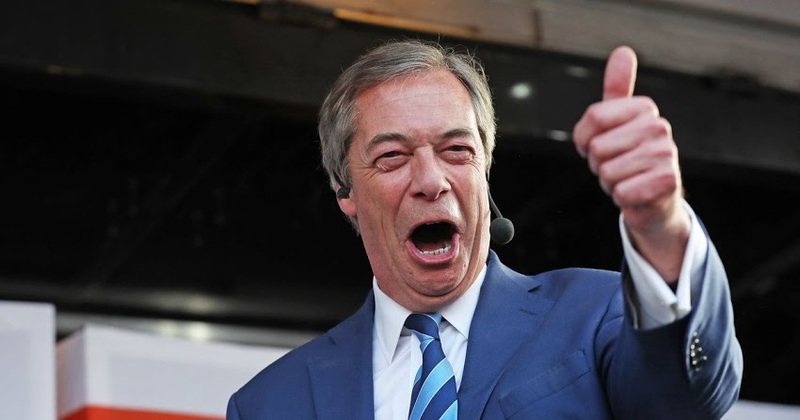 Do you remember the Euro-sceptic Nigel Farage, the man who was pushing Brexit to the forefront and then rapidly departed from the political scene and his infamous UKIP Party? The “Hero” (labelled by Brexiteers, obviously) has only gone and formed his own party! Quite fashionable to do so, these days! He sees himself as quite the visionary, doesn’t he, this Farage! Isn’t he just a big baboon like the rest of ’em? He claims that ‘weak’ leadership in Westminster is holding us back. Look at the photo below. Can we actually trust in this man?